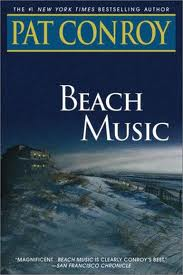 In Pat Conroy’s 1995 novel, “Beach Music”, Max Rusoff was a refugee who survived the brutality of the Cossacks, though his home in the Ukraine was rampaged in that early 20th century period. Many Jews died during that time; but Max escaped and immigrated to the little town of Waterford, South Carolina. There he met and married Esther, a Polish immigrant. When letters from Esther’s relatives in Poland stopped arriving in 1939, they became worried. They went to their congressman and asked for a search to be done. The news was bad-all of her family was killed in Hitler’s holocaust. The investigation revealed a curious thing; a girl was found whose name matched that of Esther’s niece: Ruth Graubart who was hiding in a Catholic nunnery. It turned out only to be a coincidence-same name, no relation. Max told the congressman they would like to bring that girl to America. He was reminded it would cost $50,000 because she was not his. Max insisted knowing her family was probably dead, and if he did not help, no other person would. Though most people might think the life of one little girl doesn’t make much difference in a war this big. Max thought it mattered. Max and Esther Rusoff sold almost everything, mortgaged their house and business, and borrowed the money they needed to bring that orphan girl to America. When the boat arrived in Waterford, a skinny, shy, hungry, looking little girl walked down the gangplank into a crowd of waiting people that came to see this extraordinary scene of this girl walk into waiting arms of the Rusoff family, who were there to embrace her. The couple greeted her in Yiddish and welcomed her to her new home, family, and world. Someone acted out of love for this powerless child that was trapped on all sides. They treated her as if she was their own child, which required a costly sacrifice. They delivered her by paying the price to rescue her and gave her new life. Everything in the life of that little girl changed. That story sounds like the gospel to me, for the essence of gospel is about change. A powerful gospel metaphor is the redemption done for us in Jesus Christ. That metaphor is spelled out in this scripture; suggesting we’ve been transferred from the kingdom of darkness into the kingdom of God’s own Son; because of that we can undergo a great change. Jesus Christ is the reason we have the power to choose to change. We are more open to change as a possibility when passing from one period to another. We are on the threshold of a new church year. 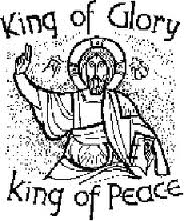 This Sunday is Christ the King Sunday; the finale of the church year and the precursor of Advent, the beginning of the new church year. This is the day we celebrate the supremacy of Christ. So, let’s consider how the power of Christ makes the choice of change possible and what choices of change we might need to make as we enter into this coming Holy Season. Change is necessary for all of us because in some way we have fallen into slavery of this world or have been dragged down by some darkness. This happens in our interior and exterior lives, psychologically and sociologically, in the inner structures of our self-awareness, and the bureaucratic structures of our corporate and political systems. We put our trust in the created world; increasing the possibility for idolatry; whose by-product is enslavement. The litmus test for the gospel is: Does this “Old, Old Story” contain the power to set us free from things which enslave us? Let’s take the example of addictions, which can enslave the soul of any person and see if the Jesus’ story can give us the power to choose to change. Does the good news have the power to help an addict make the choice to change? Addictions start innocently enough, either with a substance (i.e. drugs or alcohol) or activity (i.e. work or gambling) that provides some relief or escape. We make a choice to mask our feelings of being left out or we are looking for ways to displace the agony we feel because we are experiencing some form of vulnerability. The substance or activity helps us cope for a time, but over time a switch happens and we don’t even know how it happens. We are no longer using it, it is using us. We have to have it, and will do whatever it takes to have it. 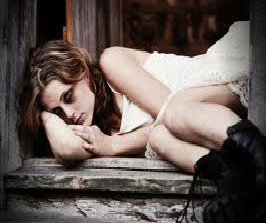 To see a person fixed on a substance or activity that reduces them to stumbling around with eyes that look like motel windows with vacancy signs, breaks the heart of God and the people who love them. Believe me I know, and so do some of you. We can become so enslaved we cannot see we’re entrapped. We grow accustomed to the dark and view darkness as light, ugliness as beauty, lies as truth, and bad as good. No normal person would allow themselves to be handcuffed, put in prison, and think we are free, though we are captive. Yet, the cunning and baffling power of an addiction accomplishes that kind of enslavement while making us thinks we are free because we have lost our awareness of whose we are in God and how much we are loved by God. We forget we are created by God to love and be loved, to work and play, to know the heights of joy and the creative agonies of deep passion. We are stuck in our addiction and don’t possess the power within us to make the choice to change. We will remain stuck until we encounter the Christ who is king over these addictive enslavements of biblical proportions. We can make the choice to put our faith in Christ’s ways and connect our lives to a power made available to those who enter in a relationship with God’s Son. We can know the life changing power that enables us to choose to change after making a choice to enter into this active relationship with the King of Kings. Can I get a witness from a recovering addict who has connected to a higher power so you could make choices to change? The choice to connect our lives to Christ’s always means setting aside self-interest that perpetuates enslavement. Setting aside self-interest asks Christ to help us make choices that not only sets us free from our destructive self, but seeks to set others free who have been impacted by our previous choices. We will know we have put our faith in the gospel story when we not only experience the power to change, but others in our lives are experiencing that same power too. We know we’re free to choose change when we can say yes or no, for not only our sake, but also for the sake of others. We can choose to casts away unhealthy activities that control us. We can choose to say no to friends without fear of rejection. We can choose to stand on our values; though the decision may be filled with fears of the unknown. We can act in the best interest of all despite clamoring voices that beg us to cut ethical corners. We do not have to remain captive to any force that destroys our own lives or hurts the welfare of others. We can choose to change ourselves and in doing so change our world. We need someone who has not fallen overboard to throw us a life preserver. We need someone who has not been sucked into the deceit to announce the truth. We need someone who has not strayed to call us back. We need someone who has not been weakened to carry us until we can walk again. 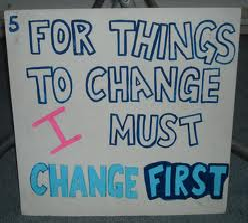 We need a change agent in order to choose to change. That is what God in Christ has done for us. We declare the supremacy of Christ on this Sunday because he makes the choice of change possible. Are you ready to make some changes in these coming days of Advent and Christmas? This is the season we declare again the love of God is so great that heaven could not bear to see us enslaved. Tis’ the season to trumpet that God defeated the power of enslavement by entering this world in the humblest of fashions, a baby placing complete trust in the supremacy of God. We too can be set free by placing our trust in God’s Deliver, who activates the power within us to choose to change. The Babe of Bethlehem waits for us to run down the gangplank and place our lives into the loving arms who makes the choice of change possible. 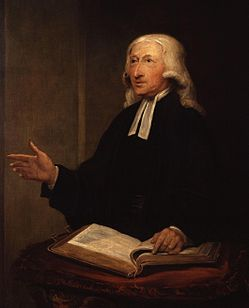 “I have the power to choose to do good, as well as evil.” Those words were spoken over four hundred years ago by the founder of Methodism, John Wesley. One reason I am United Methodist is her people and history clearly articulates persons have been created by the hand of God, stamped with the divine image, and given faculties to choose. It is one thing to say we have the freedom to choose. However, the ability to choose rightly, when facing a baffling mixture of light and darkness in a context of ambiguity can be much more difficult. I realize it is easy to speak about choosing to be grateful. It is much harder to practice when we are sorting out our blessings and challenges. Choosing always to be grateful is a challenge that requires unusual courage. We hold up the Old Testament character of Joseph. He was a man who chose gratitude in the midst of several life crises. Joseph was the product of a mother and father who fell in love at first sight, but had to wait years before they could conceive. Thus, when he was born an inordinate amount of attention came his way. Predictably, his brothers were jealous of little Joseph who grew up sheltered in his own world of preference and privilege. It should not be surprising that Joseph became spoiled and arrogant. When Joseph was 17 years old his father showed how insensitive he was to the feelings of the rest of his sons. 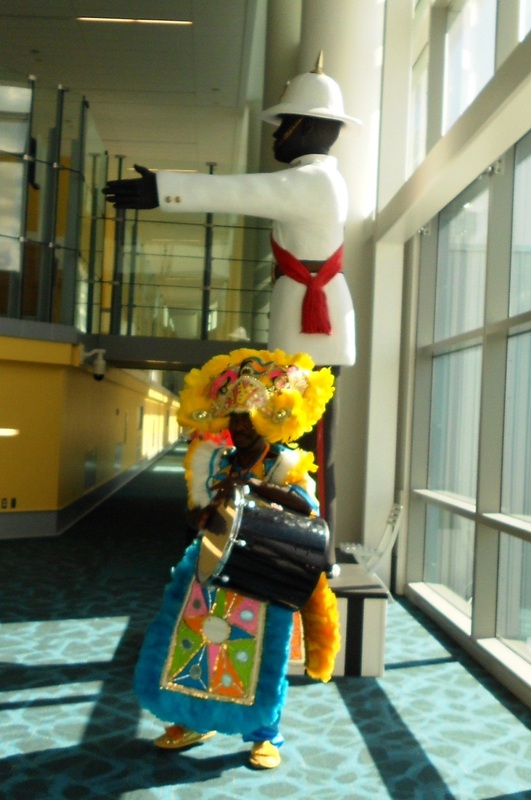 He had the audacity to send the idle Joseph all dressed up in his coat of many colors to see how the other brothers were coming along with their work. In Hebrew, that expression we have always translated to be a “coat of many colors” can be literally translated “a coat with long sleeves”; further suggesting this was not a coat for doing hard labor, but was a coat of leisure and comfort. No one, except Joseph, should have been surprised at the explosion of hostility these unblessed sons unloaded on their baby brother when he showed up on the scene. Yet, for Joseph this was a shock to his system to be confined in a dry cistern while his brothers ate lunch and deliberated on what do with a human life. Through this experience, Joseph found out that in the real world there are callous and cruel people willing to do all sorts of atrocious things. He was forced to develop a strategy of coping with the ambiguous situation that would lead to being sold to slave traders. The miracle is Joseph did not collapse completely from this trauma since he was so unfamiliar with hardships. Joseph would not only come of age about the nature of the real world; but he also came of age on how to cope creatively with ambiguity. His new found coping mechanism was to employ the strategy of gratitude in the midst of this horrible situation. He resisted asking the resentful question, “Why is this happening to me?” Rather, he asked the gratitude question. He looked at the broken pieces of his life and tried to determine what he could use to build toward the future. Those are two different ways of approaching a single event. The different answers those questions yield determines how we deal with perplexing situations. Answer to the resentful question leads to despair. Answer to the gratitude question allows us to reflect the image of God in our lives. The ambiguities in Joseph’s life would increase over the next seventeen years. The slave traders sold him to man named Potipher, who had absolute authority over him. Once in Potipher’s household, he had opportunity to prove himself as a capable leader in a way he never would have had under his pampering and doting father. Joseph worked his way up the slave ladder and became the overseer of Potipher’s household. It was Joseph’s grateful attitude, as he approached this new opportunity, which enabled him to cope successfully with testing situation. When it appeared things were getting better, Joseph was falsely accused of seducing the bosses’ wife. Now, Joseph was forced again to decide if he was going to fight back with resentment and despair or choose to be grateful for the resources he held in his hand for the moment. Joseph chose to be grateful despite being unjustly accused and landing in prison. Perhaps he thought to himself, “I am lucky to be alive because most slaves accused, as I was, would have been executed on the spot.” I believe the strategy of gratitude is what kept Joseph from blowing up or giving up. Choosing to be grateful is the secret to resilience in difficult situations. Finally, Joseph’s fortunes turned when the seemingly impossible occurred. 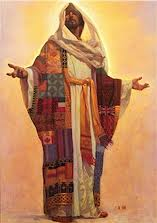 Because of his ingenuity Joseph came to the attention of the Pharaoh at a critical moment in the life of the kingdom. 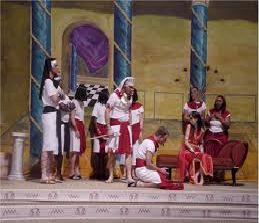 Joseph’s ability to interpret dreams was so impressive Pharaoh put in him charge of all of Egypt. Joseph went from being a forgotten slave to second only to Pharaoh. Joseph’s story represents the difference gratitude can make when it comes to dealing with difficult and ambiguous situations. When we gather at a family funeral our sense of loss and remembrances are always mixed with words of gratitude for the one we grieve. It would be easy to make the choice to focus on the question of why they are gone or why we have to cope without them. Or, we can make another choice that focuses on the question of what do we have left in our hands that will allow us to build a different future. That choice is always before us as we negotiate life. 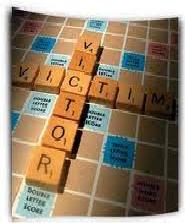 The different answers those two questions yields determine if a person will be a victim or a victor over the unfortunate events. People who consciously choose to be grateful will be the ones who will find the courage in the worst of times to keep on doing the best of things; reflecting the glory and guidance of God’s hand, which made us and will sustain us. Our pilgrim forefathers, who we remember on this Thanksgiving week, faced this same choice in 1621. We have heard many times before about how that little band of Puritans set out on the Mayflower for Virginia only to get blown off course and come ashore along Cape Cod. We know how the winter was much worse than they expected and by April only fifty of the original one hundred and two had survived. History tells us a serious discussion arose on whether those remaining should return to the Old World. But, the decision was made to stay and plant a few acres of corn and barely, and the rest is the history of our great land. Did you know that when the time came to observe their first anniversary another discussion arose on how it should be observed? Some proposed a day of mourning, focusing on those lost who now laid in unmarked graves on foreign soil. Would have been different if those Pilgrims had chosen to mourn? 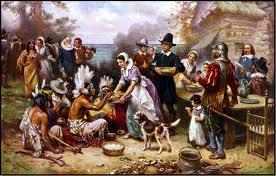 Others proposed a day of thanksgiving for the fifty who had survived, the crops harvested, and the Native Americans who were new friends. We know they decided to observe a day of thanksgiving; a turning point in the founding of our nation. We do know; gratitude is potent resource for coping with difficulty. When we chose and express it in uncertain situations, we reflect the nature of God. This is what Joseph and the Pilgrims did. Gratitude can do the same for us in whatever difficulty we face. We are to also remember on this Thanksgiving Week our lives are connected to Christ, who approached the terrible injustice and incredible grief of an undeserved Roman cross with gratitude, assured even then he was in his Father’s hands. Jesus’ choice of gratitude made our redemption possible. When we consciously choose gratitude, we redeem our future by taking the present and perhaps broken parts of lives and trust a redeeming God knows what to with life offered freely in gratitude. 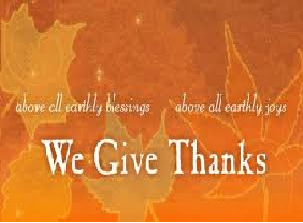 Choose Gratitude and we’ll have a Happy Thanksgiving, my fellow pilgrims! Happy Thanksgiving! 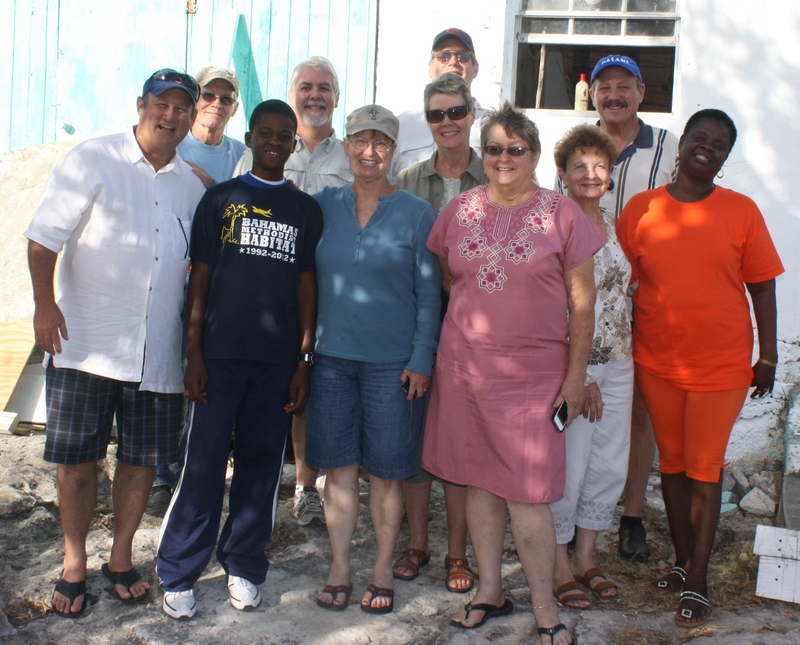 Click on the link above that says Power Point Slides and you can get a sense of the partnership work of Bahama’s Methodist Habitat and the FUMC, Irving mission team in story form. Enjoy the sneak-peek pictures and story we will share in worship this morning. After you enjoy, don’t forget someone needs you….Serve Somebody! My grandmother’s house was a climate controlled storage unit. She held on to everything; thinking she might need it someday. She had a room added to her house and garage and lined them with shelves; filling it with things she might need. She worried what tomorrow might bring. Older generations speak critically of the younger generation desire have now what it took previous generations decades to collect; wondering why they think they have to have bigger and better right now instead of waiting like they did in their time. The coming generation’s craving to acquire is the other side of the coin of outgoing generation’s addiction to save. The need to hoard and spend excessively grows out of the sense that enough is not enough. One either holds on to more than is needed or one tries to acquire more than needed. Both are symptoms of sinful anxiety that are rooted in the feeling there will not be enough to make me happy. Jesus prohibits worry. The translation can’t be softened-“Stop worrying; speaking to us like a child about to touch a hot stove. 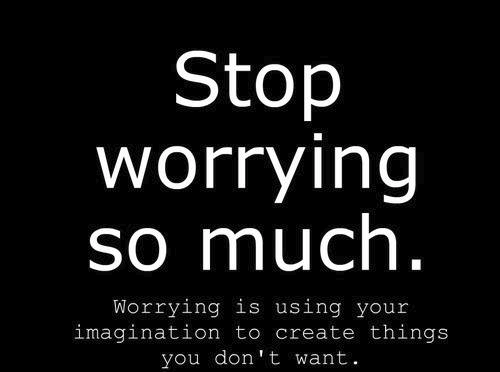 Tell me to say stop worrying, I worry if I’m worrying. I can worry about a sermon on worry. The prohibition not worry is not unrealistic if we wrap our mind around some Lordly logic that comes with an three explanations and illustrations. Jesus speaks of the secular trinity-what we eat, drink, and wear and forbids us to worry of these things. We find the divine logic in v. 25: Is not life more than food and the body more than clothing? He employs a classical pattern of argument; moving from higher to lower ideas. The higher idea; our life and body is more vital than the lower idea, what we put on it or in it. If God gives the greater gift of life and a body that sustains it, then we should not worry about the secular trinity, what we eat, drink, or wear. God’s greater gifts always include God’s lesser gifts. Lordly logic means God doesn’t do things halfway. Mountains were given streams to shape it, snowflakes have the ground to absorb it, and a tree holds birds or squirrels to abide in it. God gave us eyes and ears and then blessed us with sight and sound to fill them. This Lordly logic gives reason to choose not to worry when we discover God’s greater gift of the Son includes endless lesser gifts from above. These words say we will be fed, not feast. These words have nothing to do with whether we eat prime beef or hamburger or shop at Wal-mart or Neiman’s. He spoke these words to people whose stomachs were growling and whose mouths were often cotton mouthed with thirst. God’s greater gifts include lesser gifts means our needs will be met, not that our greed will be satisfied. 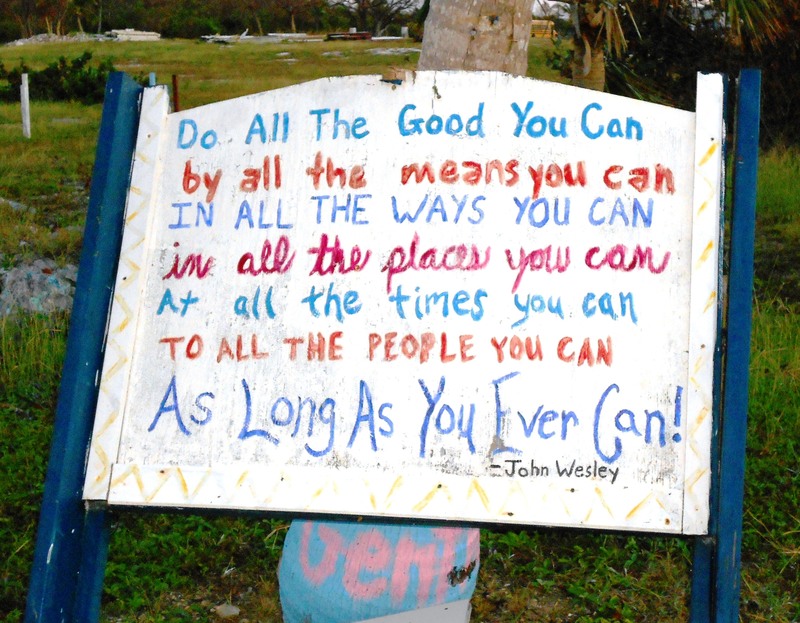 Betty is a resident of the Island of Eleuthera and recently her 700 square foot house expanded to include nine persons in the household because of an unexpected death in her family. The people of FUMC, Irving were able to help her by putting up some partitions and redoing her bathroom. When the work was complete, she offered the usual thanks but she said something you might not expect. She said, “Your work gives me peace.” Her lesser concerns were addressed, but her greater concern was a higher need, a sense of real peace. Jesus follows the logic with illustrations that assure God’s greater gifts included God’s lesser gifts. Jesus follows the logic with illustrations that assure God’s greater gifts included God’s lesser gifts. Jesus points to the birds to prove worry is unnecessary. The birds are inferior to humans, they cannot sow, reap, or organize. 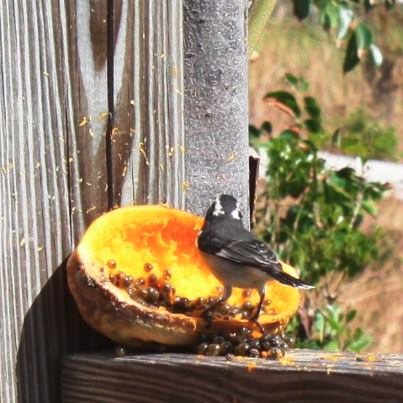 It is a miracle how our feathered friends survive. God creates within them the instinct to find bushes that produce more than enough food without an ounce of worry or concern. Jesus didn’t say the birds didn’t work, he said they don’t worry. The bee hummingbird is 2” long and weighs a few grams. It beats its wings 90 times a second. Every year, the bird flies from North America across the Gulf of Mexico to winter in Panama. Then, it miraculously returns to North America. If you believe that happens by chance, then believe an explosion in a printing company causes dictionaries to fall from the sky. Jesus points to us to prove worry is unavailing. He says “Who of you can add a cubit to your stature by worry?” He spoke those words to five foot tall Palestinians who looked up to their Roman captors. It can translate “Who of you by worrying can add an hour or day to your life? Were we anxious about birth when snuggled in our mom’s womb? Will anxiety decide when we meet our Maker: at a ripe old age or because of a premature accident. Each of us has boundaries that worry cannot change. Zacheaus was short, Paul had a thorn, King David lost a child, and the woman at the well was married five times. These are only a few of the boundaries people face. I was born in Dallas, 1959, not London, 1859. I graduated from Baylor, not Yale. 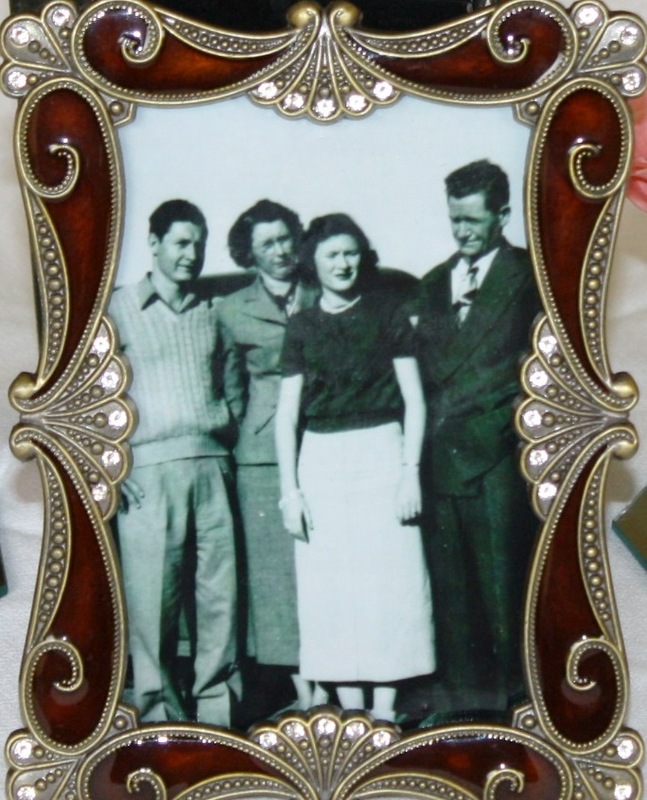 A widowed mother, not two parents, raised me. Those are boundaries I must accept. We all have boundaries we cannot change and acknowledge and accept that our worry is unavailing. Jesus points to the lilies of the field to prove worry is unbecoming. 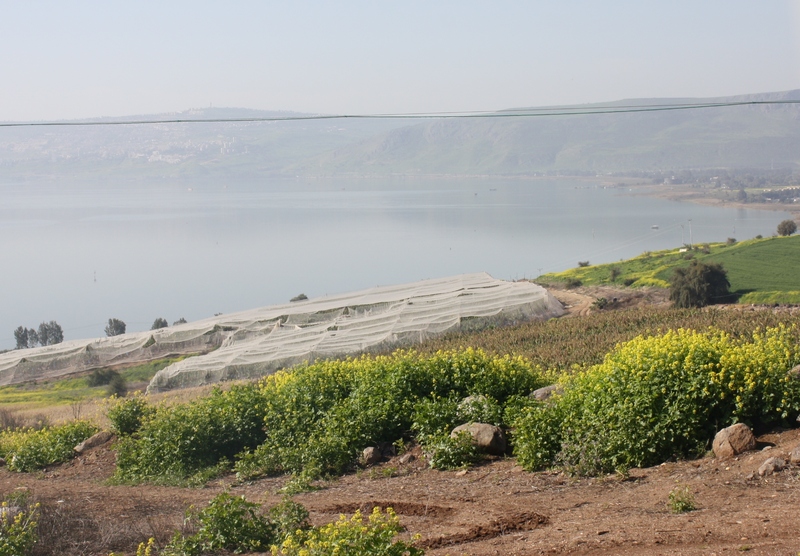 The Galilean lily is a wildflower that covers the hills. It is trampled underfoot and used as kindling for fires. The lily is inferior to birds and humans, yet it’s so finely arrayed that a microscopic inspection would reveal wonders to behold; making it finer than Solomon’s robe. If God would lavish flowers that are here today and in the oven by night, then how much more will God lavish us whose destiny is a life with God forever? God’s greater gift of saving grace always includes God’s lesser gifts of everyday grace. We wrestle with this divine logic that our relationship with God comes with God’s provision. Our anxieties belie this promise that we can trust the God of creation to give us bountiful gifts of creation. 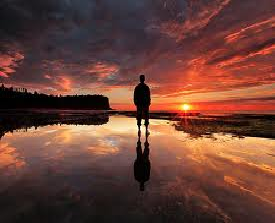 Jesus practiced what he preached; walking each day never harried or hurried, but keeping his eye on what was ahead. Jesus had more to worry about than any other person who has lived. He didn’t know where he would lay his head at night; always dependent on somebody for something. He lived in the shadow of a cross. In the Garden he became concern of lesser things; praying, “Father, remove this cup.” Eventually he would pray: “Not my will but yours”, declaring the greater excludes the lesser. We’re a child of God who can trust their heavenly Parent. At our baptism, we are adopted into the family of God. That trust comes from a inner compulsion, no amount of outer coercion can convince us not to worry. Only God’s Spirit can help us to choose not to worry and seeking first the kingdom of God and it’s righteousness. This verse helps us wrap our minds around the logic that God’s greater gifts include God’s lesser gifts. 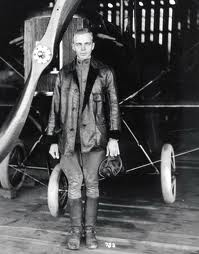 An early aviator heard a rat chewing on the wires in the cockpit. He was over water and 2000 miles from land. He despaired; realizing it was gnawing at the vital parts of the aircraft. He ascended 2000 feet, and upon reaching higher altitude the noise ceased. 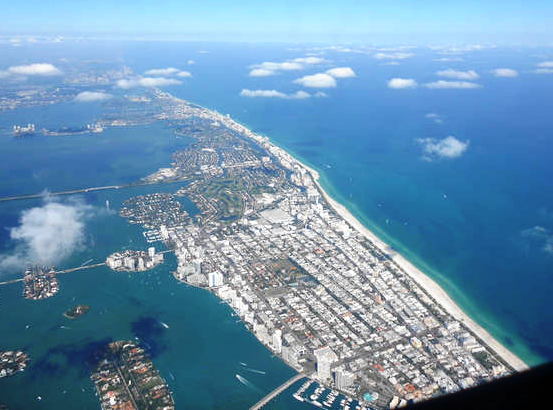 When he landed, he found a dead rat in the plane’s pit that died in the higher altitude. We need to elevate ourselves so life’s gnawing concerns cannot pull us down. Jesus says, Do not worry about tomorrow, for tomorrow will bring worries of its own. Today’s trouble is enough for today. We’re to set aside distracting cares the future and fix our eyes on God who holds tomorrow. At the end of the day we’re to place confidence in God to provide what is necessary for the coming day. The nightfall is God’s iron wedge on the worries of yesterday and tomorrow concerns. Interest rates are prohibitive when borrowing troubles from tomorrow. Carrying the failures of yesterday into today breaks the back of anyone. Worries stay inside the wedge of today. A neurotic clock told the clock psychologists how hard it is to tick. He said, “Do you know I have to tick 2 times a second, 120 hundred and twenty times a minute, 7200 times an hour, and 17,280 times a day, 518,400 times a month, and 6,250,000 times a year.” The psychologist said, I know it is hard to tick, but how many ticks do you tick at a time. 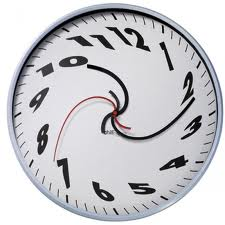 Like the clock we are to live one tick at a time and not be distracted about care for the future. Anxiety is a health problem that can remain undiagnosed and affect every dimension of our lives. It can happen to any person of any generation. It can even happen in the land of “No Problem”. The remedy to worry is to focus on the kingdom of God, higher and holier concerns, and trust our lesser concerns the secular trinity will diminish. It is our choice. 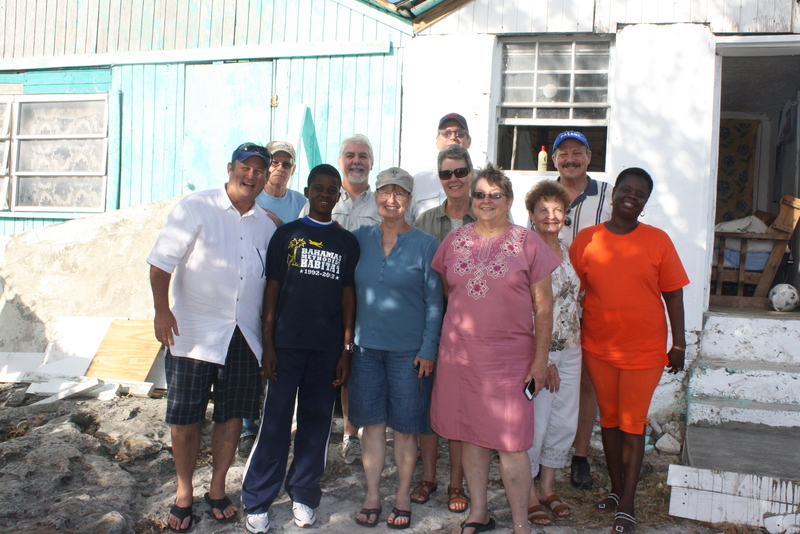 Traveling this week with a mission team from FUMC, Irving to work with Bahama’s Methodist Habitat. 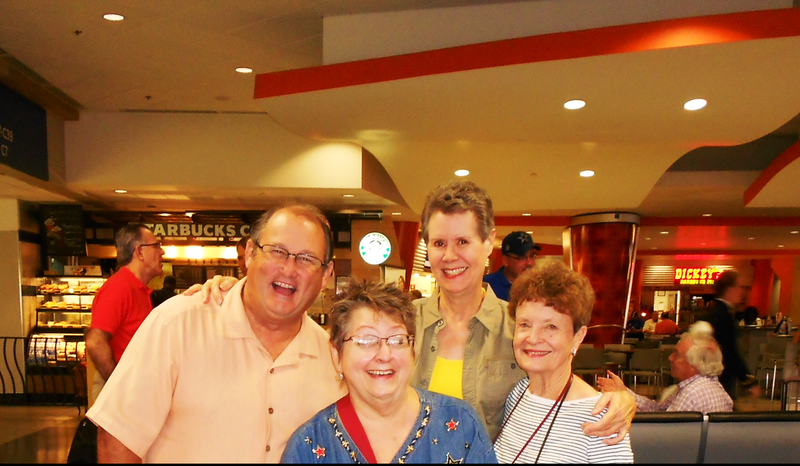 It is a great group of missioners, that are experienced servants who have given themselves over the years on different parts of the globe. I am proud to serve with them this week. Arrived on the island of Eleuthera after a leg to Miami, then to Nassau before landing at Governor’s Harbor. What a day of travel to a beautiful spot on God’s earth. But, a quick drive to Camp Symonette reveal what is often times behind the thin veneer of island life; real people who want the same things every other one of God’s children desire. It was a pleasure at dinner to meet some of the islanders who are becoming new friends in the faith. Becky Thompson one of our host for the week provided our orientation and shed new light on the phrase island time, we busy Americans make light of in our humorous ways. She said island time means it doesn’t matter what you are about to do, but who is the person in front of you. Ouch, it always seems I have very important things to do. But, more important than the person in front of me? Island Time, thanks for pointing me the way, I think I will give it a try.